Engagement portrait session in Paris yesterday with the most handsome young couple who flew from Bejin for a romantic tour of Europe. At this occasion, they decided on having their engagement photographs taken in Paris, where else really! Sandy was wearing a Red Valentino dress purchased in Paris for the shoot. “Love is in the air”, I had this tune in my mind as we were travelling the streets of Paris from one location to the next. 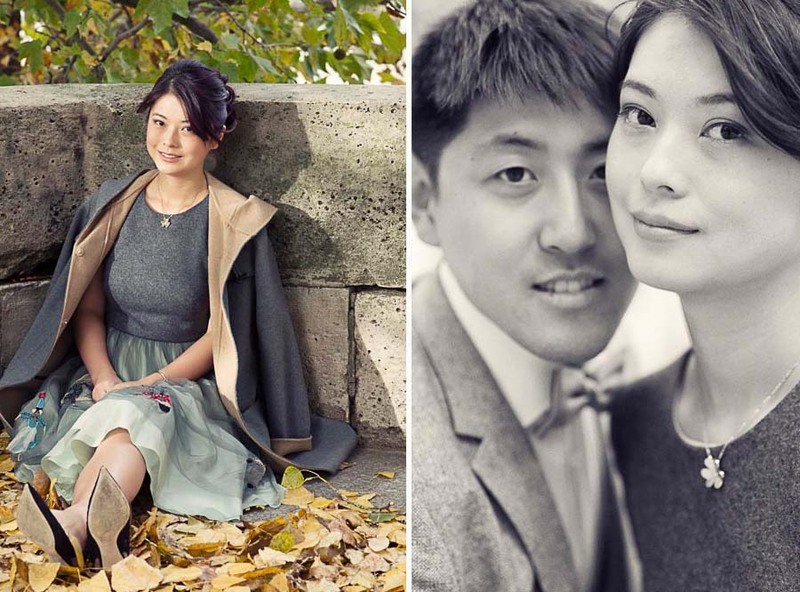 If you happen to be considering having your engagement photo session in Paris, here is another of our classic, elegant yet quite natural photo session with a couple from Seoul. It is a lot of fun to do, I swear! SCOTT & INNIS in Paris. From Sandy ” It was a very pleasant shooting journey to work with Olivier and his hair and make up team. He has lots of passion and is very professional and creative. We were a bit nervous at the beginning but he made us enjoy ourselves and enjoy Paris. And the other important thing is that we went to lots of beautiful places which are not so well-known in Paris, such as artists shop and a beautiful theater backyard, which was surprising to us. 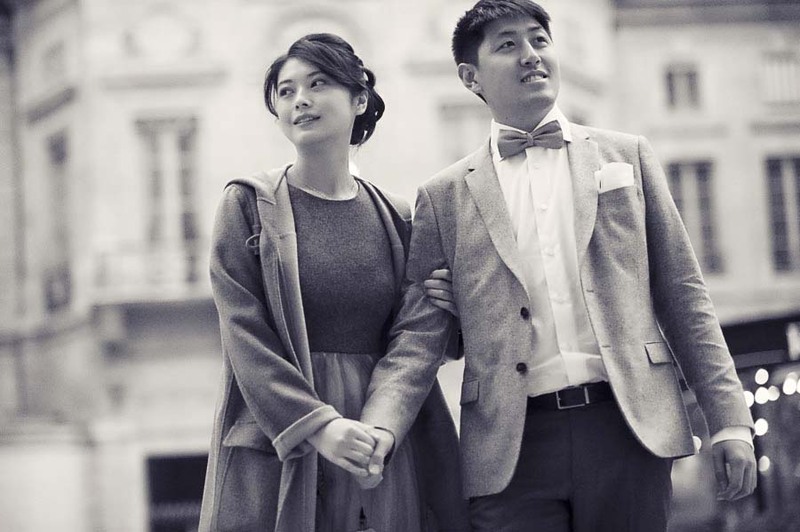 Our photographs looks elegant and natural, I will definitely recommend to my friend! AND Yes, We went to “l’escargot” last night, a local restaurant that Olivier recommended, its steak and Oysters are just delicious. It’s a very nice and popular French restaurant. It is joyful to have an authentic dinner after 3 and half hours shooting! Edward and I met in Sydney Australia when we were doing our Master degree. Edward loves European History, he wanted to visit Paris for a long time. Also, we saw Olivier’s work online before we come to Paris and we really liked it! His photography is stylish and all natural, he has a real sense of making his clients relax and have a good time with him.